Doorways, Entrances, Ramps, Uneven surfaces. Textured granulated non – slip surface / ribbed or Smooth. 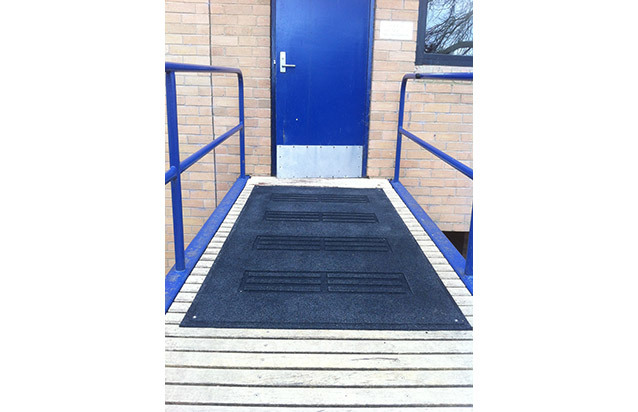 Our ramps are developed for ease of access through doorways and entrances in to retail shops, schools, hospitals, pharmacies and domestic houses. Custom made to requested design. Enviro ramps are a safe and convenient solution for any entrance to a home or business that needs to accommodate wheelchairs, walking frames, motorised scooters or heavy foot - traffic. 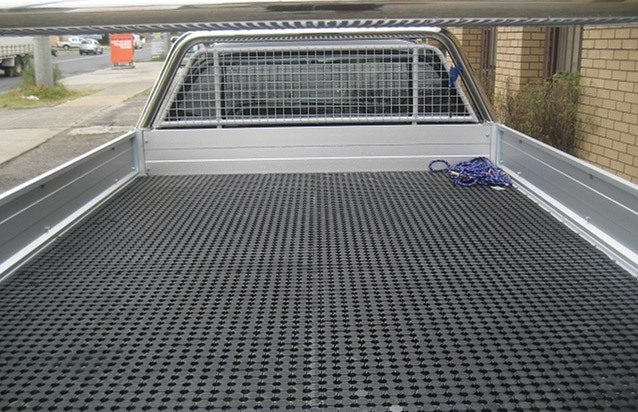 Enviro ramps are manufactured from 100 percent recycled tyres and are Australian made. Our Enviro ramps are compliant with Australian safety standards: 1428. 1-2009, which sets the standard for access and mobility design for new building projects. 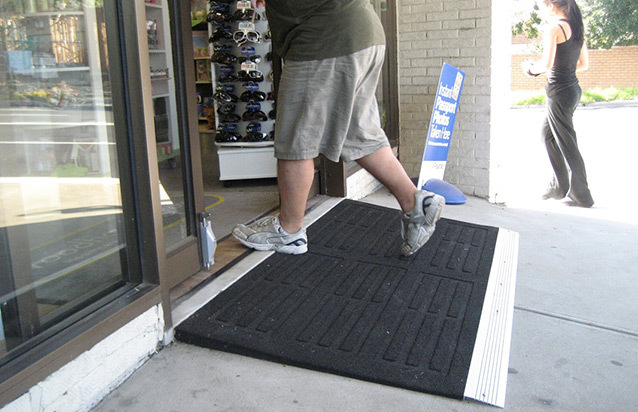 Enviro ramps are developed for ease of access through doorways and entrances in to retail shops, schools, hospitals, pharmacies and domestic houses. Enviro ramps have superior stability and are slip – resistant, reducing the risk of trips and falls. 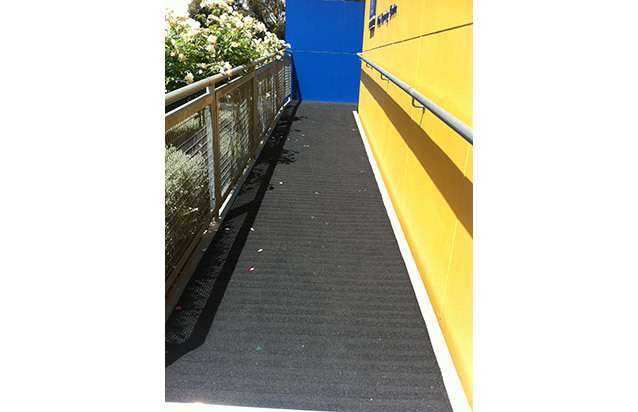 Long lasting – made from recycled tyres, the Enviro ramp will last for decades and never breakdown even after heavy use. Weather resistant – the Enviro ramp can be used in wet or dry, or hot and cold conditions. It will not rot or erode in the face of adverse weather. 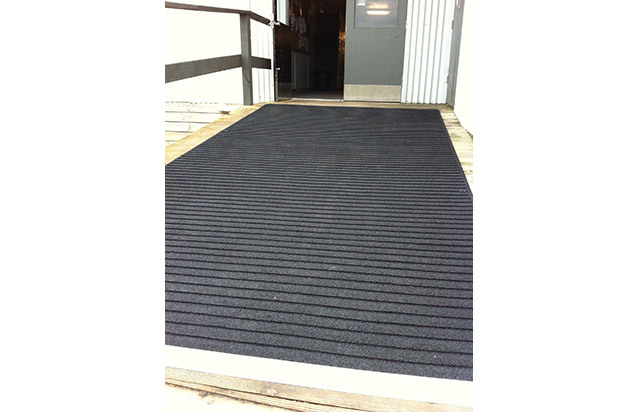 Easily to install – the Enviro ramp can be installed permanently or as a temporary fixture. The can be easily moved and be put in to storage.